When we organise parties in autumn or winter we like to do a fusion of a Hot Pot and a Shabu Shabu. Different soup bases (Shezchuan, Tom Yum or Dashi) where you can dip a huge variety of vegetables, mushrooms, fish balls, fish cakes, tofu , sea food and Beef Slices. I usually as my butcher to cut thin slices of a nice aged rib eye. 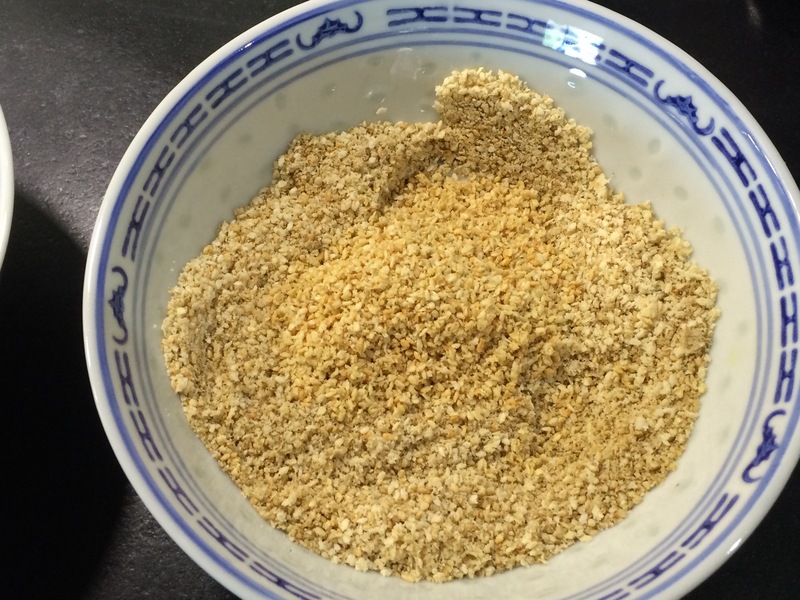 I like it to have even spread fat, that will melt in the boiling soup and have great taste. You serve it with different sauce to dip, usually I do a soy/coriander/chilli/lime sauce, a ponzu and a goma dare. Here the recipe for the home made goma dare. 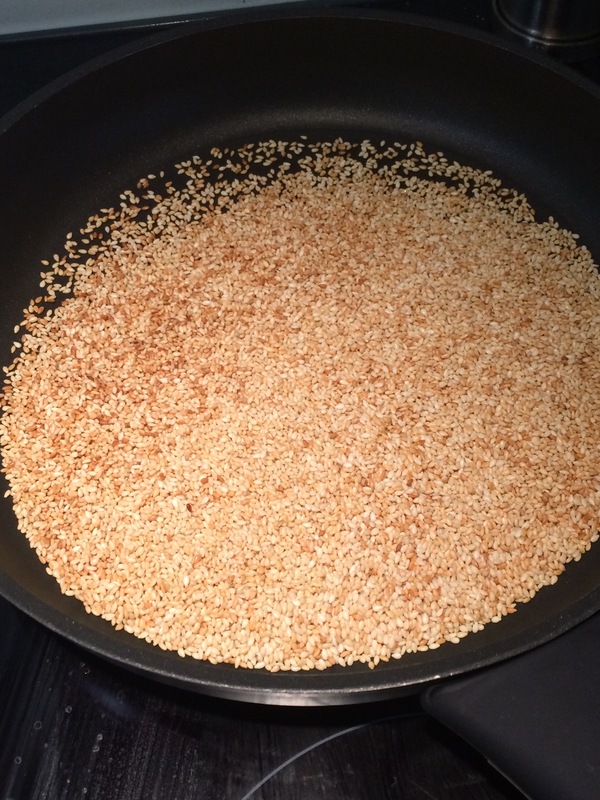 First of all roast in a hot pan the sesame seeds. Make sure you prepare a little at the time and keep shuffling them so that they don’t burn. Grind 175 gr of them. 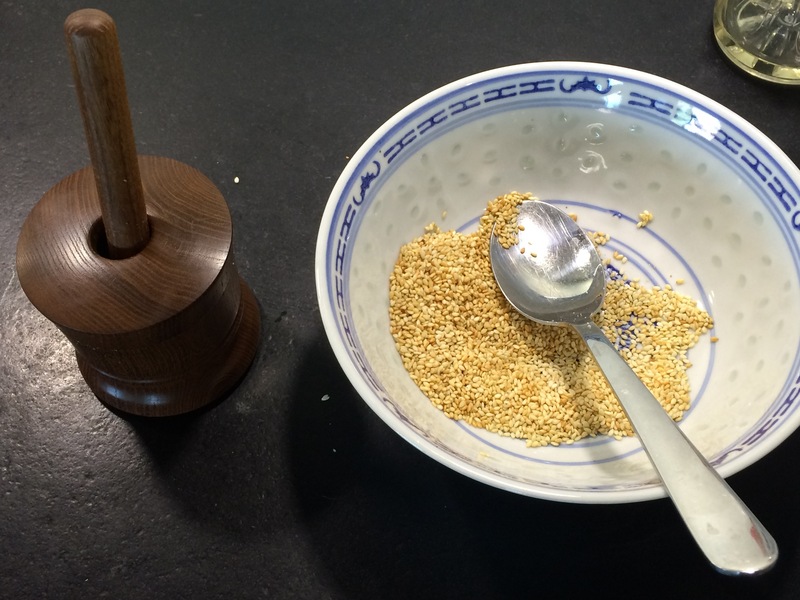 I used a nice small sesame grinder I found in Japan, but even a Kitchen robot will work. 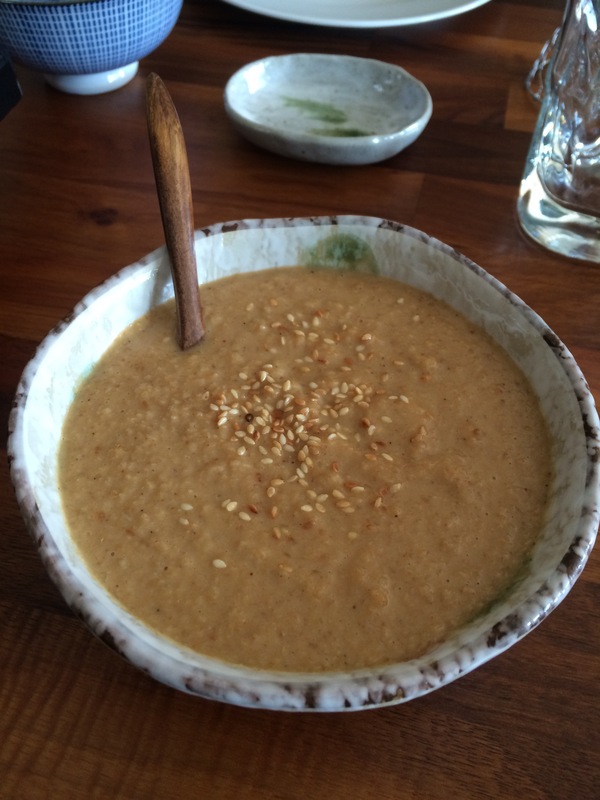 Put the grinded sesame, the red miso, the miring, the dash and the sugar in a pot. Bring to boil and let cool down. Add the remaining 25 gr. of roasted sesame.